I think this post should almost be titled, "Why it is utterly pointless for me to create a Nightstand Post." Then I would provide the following subtitle: "But I'll do it anyway because it is fun." Really though, it's pretty pointless. I read only one book from last month's post and I didn't even finish it (because I loathed it). Still, perhaps we will get somewhere in our reading this next month. (That's called living with undying hope!) There are a few reasons for me dragging through the remainder of this reading year. One of them is the arrival and integration of Bookworm4 into our family. This has caused a certain amount of upheaval and a lot of time and attention has been being given to helping him adjust. I'm happy to say that our youngest (age 2) is doing quite well and is a happy, perky member of the family. But those smiles sure haven't along very easily and I have to give myself permission to not be so demanding when it comes to my personal reading time. Yes, I think about reading a lot. It just doesn't happen as frequently as I've been accustomed to! But that's ok. My attentions are needed elsewhere for a season. One really quick announcement before I launch into my hoped-for reading list for this coming month. 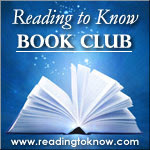 Our October Book Club read for the Reading to Know Classics Book Club has changed. 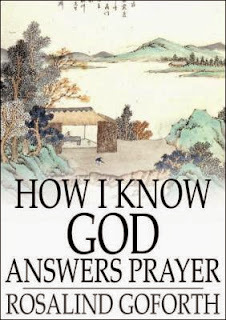 Instead of reading To the Golden Shore: The Life of Adoniram Judson we will instead read How I Know God Answers Prayer The Personal Testimony of One Life-Time , by Rosalind Goforth. 1. The Goforth book is shorter in length (which will hopefully allow people to finish it on schedule). 2. The Goforth book is free on Kindle ! Hopefully that change will allow you to be able to read along with us. I was glad that Barbara, who will be leading the next discussion, thought to consider these things and suggest the change. Now. As to what I would like to read next month, well . . . here goes nothing . . .
1. 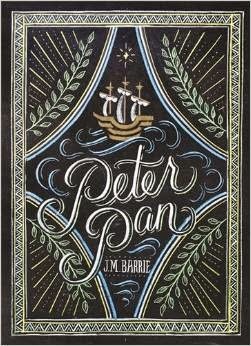 I am planning to read Peter Pan to my kids immediately after we finish up The Princess and the Goblin which we are chipping away at and enjoying immensely. It's so weird to think that we only have a few books left to pack in before the end of the year. I wanted to tackle Peter Pan before the year was out so we'll get right on that. 2. I'm hoping everyone will pretty much have forgotten that I said I was reading this . Seriously. I'm on the last few "chapters" and then I'm done!! 3. Redwall . I am also just about out of time to read this one. Some of you might recall this Facebook Challenge which I gave at the beginning of the year to read the first six books that six people recommended to me. The only book that I've read so far off of that list was Harriet the Spy. I've got to get to Redwall this month! With the addition of the fourth child it began to become desperately clear to me that we needed a more orderly and organized life. Slowly I've implementing a new schedule which is helping already. It is a slow learning process to me. Most people tend to think I'm uber organized but that's not actually the case. I have rather enjoyed flying by the seat of my pants, more or less, up to this point. The past few months have pretty much caught my pants on fire though so "doing whatever" is no longer an option. I find the kids and I operate well on a schedule and going through these materials has been an interesting lesson to me in many ways. I'm grateful for the help it has provided in organizing my thoughts and now it's just to find a workable plan that keeps our family peacefully productive! 6. Let's not go any further, shall we? I hate to disappoint (myself). Life is an adventure which books are not to be left out of, that is for sure and certain. Off we go for another month of reading and living! I completely forgot it was that time already! If you plan to someday write up a post on the Managers series, I'd be interested in reading what you think! It's on my list of books to read and I am interested in how it works out in your home. Ditto what Cassandra said about the MoH series. I'm neither organized (understatement) nor a planner (though people THINK I am, perhaps based on the number of children I have, which is actually counterintuitive if you think about it ;) ). I could definitely use some help in this area, but I'm not sure I can tackle trying yet another system. I might give the Goforth title a go! I have it already on my Kimdle! Boy, do I understand where you're coming from, sister! I think adding the fourth child is SUCH a game-changer. The season you are currently in will be over oh too soon! Enjoy it! The "pants of fire" statement had me laughing out loud because I totally get that kind of life. LOL. Nice to hear that the new little bookworm is adjusting nicely. So I just got the Goforth book sent to my Kindle! So maybe I can read along with you all next month. 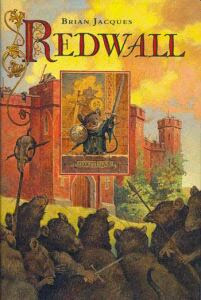 I've heard good things about Redwall through the years but have never read it either. Maybe next year. 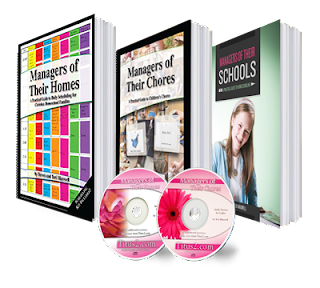 I really loved "Managers of Their Homes" back in the day when I was homeschooling. I still use the principles in it. It was a great book that gave me permission to schedule, schedule, schedule to my heart's delight. ha. Hope it will be useful to you too. I can only use Nightstand to say what I've read...and maybe mention a goal or two for the coming month. Maybe you could take that approach? 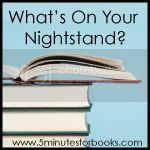 I am totally unable to plan my reading - so I do the review of the past month of reading during the Nightstand posts like Annette does. I'll have to charge up my Kindle and read along next month with the Reading to Know bookclub though! I've gotten some great response to the Goforth book, so it is looking like that was the right move. "Next up" Nightstand section every month for some time now. I tend to work best in both reading plans and household schedules and management with some kind of structure but not a rigid one. I had not heard of the Titus 2 series - sounds good! 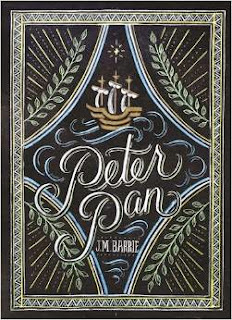 I just recently got Peter Pan free on the Kindle, though it seems those kinds of books are best read from a richly bound and illustrated library copy. Still - I get get some things because they're free or cheap for the Kindle that I might not otherwise. I'm happy about the reading club change. It's on my kindle now. I love that you are reading Redwall. I should read it. My children have enjoyed this series. It never fails that they grab one of them from the library to re-read. I'm intrugied by the home managing books! I've not heard of them before. I'd like to read the Goforth book for October. Sounds like it's a good one!